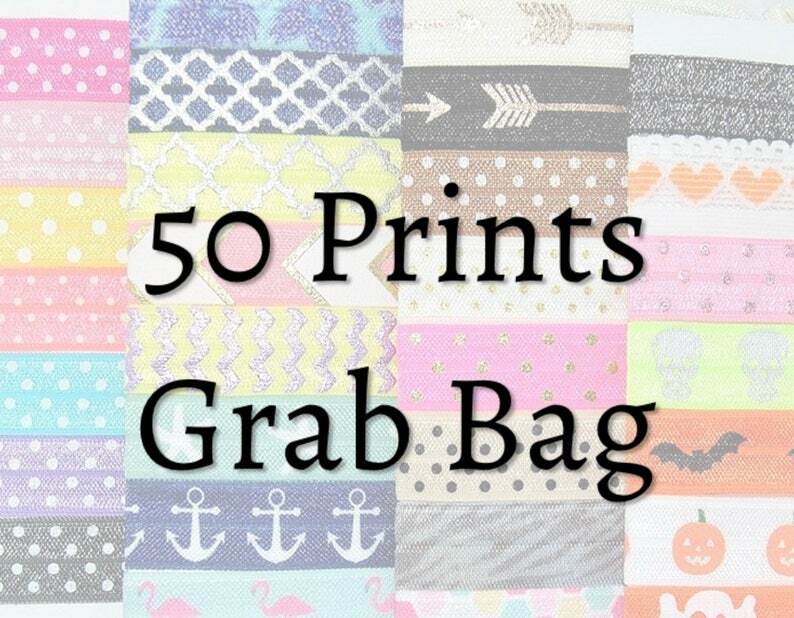 You will receive 50 random printed hair ties. The pictures show most of the prints that we have. Some are sold out at times and some prints are not shown. ALL are high quality elastic. Our hair ties are perfectly stretchy! Can be worn as a bracelet! Perfect gift idea. Perfect for sports teams/cheerleader squads! Works for all hair types! Measurements: approx. 5/8" wide and approx. 3" from knot to end. 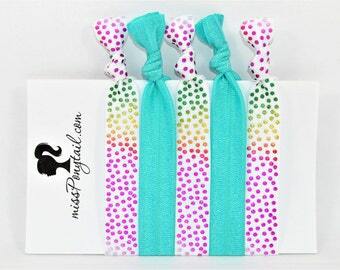 All Hair Ties are hand-knotted and heat sealed to prevent fraying. Each set of 50 comes packaged in a cellophane bag without cardstock display card. These were delivered so quickly! They are adorable and everyone I've given them to as gifts love them!